This video is quite a rarity. It's shot in San Francisco, CA at a venue called the Psychotic Church or also known as the Psychedelic Church. 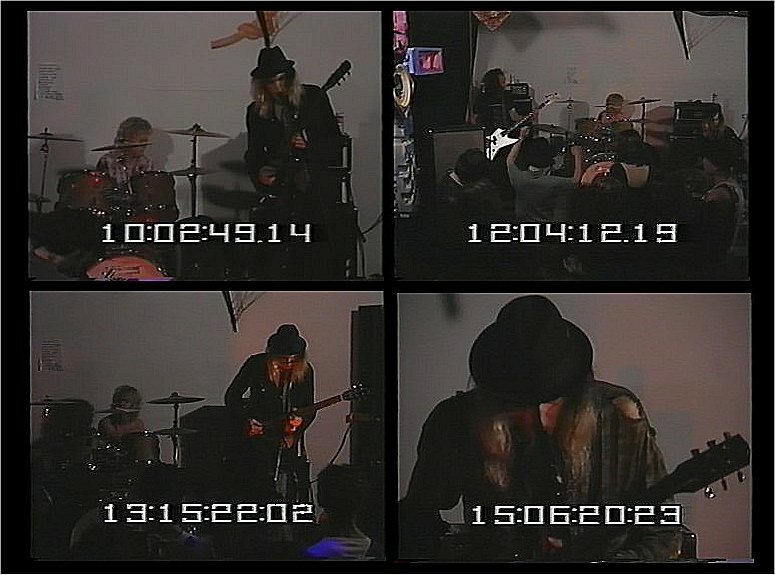 The video and sound quality is exceptionally good for being shot back in 1988 and being transferred over to digital from an old, dusty, dead spider filled VHS tape! Some really great footage here of an early Helios show. The only annoying thing is the big rectangular timer at the bottom of the screen for the duration of the show. It also looks like this may have been filmed over a period of a couple of shows. I apologize for the unknown songs, if anyone happens to know what they may be, please contact me so that I can update the information.